Hang around the Cedar Hills staff and you will soon hear that phrase used. I encourage our ministry staff to try new things and learn as much as possible. And when it comes to trying and learning...that’s where experiments shine. They allow us to try new things. They help us make new discoveries. They make us smarter. They keep us flexible and encourage creativity. This summer we ran a Gathering Experiment at Cedar Hills, testing out a two Sunday gathering schedule. Not knowing for sure what the impact would be, we decided to try a new schedule for 13 weeks and see how it might better serve and impact our church and community. Our summer experiment comes to an end this weekend, and the results are in! This fall we are continuing on with our current gathering schedule…Thursdays at 6pm, and Sunday’s at 9am & 10:30am. Kids Ministries will continue to be active at all three weekly gatherings. Speaking of changes…we have a change in our student ministries leadership. This fall, Scotty and Sage Fitchett are stepping aside as our student ministries leaders. Scotty and Sage will continue to serve our students in a volunteer capacity, hosting and leading a Monday night dinner/discussion group in their home. Scotty won’t be going anywhere…he will continue teaching part-time at Sandpoint High School and running his logging business. Thanks for loving our students Scotty and Sage! I’m stoked to announce that Sean Trostrud has joined our team as our Student and Outreach Ministries Leader. Sean and his wife Becca have been a part of Cedar Hills for almost 4 years. During that time they have also served as Program Directors for Cocolalla Bible Camp, leading an array of kids camps and discipling dozens of teen leaders during the school year. Developing the faith and spiritual foundation in young people is Sean’s passion—something that was instilled in him personally growing up in a missionary family in Papua New Guinea. Together, they are raising three daughters—Everly (3), Nora (1), and beautiful 10-day old Esther! Thank you to many of you who have been praying for Tami Heather. Tami served Cedar Hills for over 7 years in a variety of staff positions. She most recently has served as our Outreach Ministries leader. This summer, Tami was diagnosed with Lymphoma, and as such stepped away from her staff position so she could pursue medical treatment and focus on health and healing. Tami’s spirits are high, but she would love your ongoing prayer. In addition to Sean’s student ministries role, he is also overseeing our Outreach Ministries. We're excited bout the passion for these ministries Sean brings to the table. Welcome Trostruds! Thanks Cedar Hills for being an amazing community…Nicole and I are so honored to serve you! Community is defined by Webster as "a feeling of fellowship with others, as a result of sharing common attitudes, interests, and goals." Urban dictionary (a personal fav) defines it as “an interacting population of like-minded individuals, affecting the identity of the given members and also their cohesiveness. In gaining similar social perceptions gives them a sense of solidarity." I love those definitions. To stand with people together for a common purpose and each person affecting the other it’s so beautiful. Community has always been deeply important to my family. We are a sports family, team based, never an “I” always “we”. And two and half years ago, my family left our familiar and cohesive community, our beloved sports families and friends believing that God was calling our family to Sandpoint. When we arrived, we had an expectation that there would be a community waiting for us in our driveway. What we found was the four of us alone standing in the driveway looking at each other and thinking, "ok God what now?" His answer “Forget about what has been – it’s nothing compared to what I’m about to do” Isaiah 43:18 (NLT). Inspired, we began to attend various churches in the area and finally landed at Cedar Hills. We knew when we walked into the lobby that Cedar Hills was unlike to any church we had been to, it was a group of people who were interacting with each other, you could see the friendship and cohesiveness in them. There were zero “church people” expectations put on them, they came as they were and you could feel how much they loved Jesus and did so together freely. The next week we came back and shortly after that I had joined the staff. I loved my job absolutely everything about it. The team was energetic and dynamic, nothing was impossible, dream big, love Jesus and be all in. YES! I could do all those things and be supported by people that were doing the same. There was such a strong sense of solidarity you could feel it in a room where the team gathered at any moment. This team had a desire to know Jesus in a deeper way and while I loved the work aspect of that, the actual spiritual connection that was taking place, was amazing. I had very big walls up to guard against such a thing and slowly those walls of protection I had put up for so long began breaking like a dam. Jesus was softening my heart for this time, to be able to serve His people with an unshackled heart and to experience the Church free from fear and pain. This began to spill into our home, and our family began connecting to people in and through the church, and before we knew it we had community in a big way. We got involved in a life group, and through our life group, our community expanded even more. We attended volunteer serving events outside the walls of Cedar Hills, and our community continued to grow. As it did something amazing happen, those walls we had held on to continued to break, and we began to walk in the community, not as strangers, but as a part of the cohesive Cedar Hills Community out in the community of Sandpoint and God didn’t stop there. "We serve a God on the move, get ready and do not shrink back" was the theme throughout our staff team in 2018. I felt this more and more each day, I began to branch out teaching in student ministries, sharing my testimony in women's group and spoke in a celebrate recovery group. I felt that stirring in my heart that we should step out of the church community we have so longed for. I wrestled and questioned God many times over the next few months. Seriously...God... I am serving you every day, I am surrounding myself with your people, we pray all the time in the office, worship music blares on most days, you don't really want me to leave this? The answer I received in a morning devotion was Deuteronomy 2:6 (NLT) “The Lord our God said to us in Horeb, ‘You have stayed long enough at this mountain." There it was, I had stayed long enough to be healed, redeemed and restored wholly by Jesus and through the community that embraced my family so intensely. I had stayed long enough to find my voice for God, and for my family to find their own voice, their own footing, and purpose in our family’s journey with Christ. Trusting God and his word he gave our family when we arrived into Sandpoint "..forget what has been" and in line with our team theme of not shrinking back , it is time to leave this mountain and head into the wilderness otherwise known as the education system and be blown away by what “He is about to do”. I am overjoyed to have an opportunity to spend my day around teenagers who need to know the unconditional love of Jesus. To live out loud that through Jesus and the community that belongs to Him, that he has brought me full circle from the broken teenager who sought a world away from the church, to a woman so on fire for the Church running towards the teenagers of next generation of God's community. For many of us that phrase brings back amazing memories of weeks away from family and responsibilities, meeting new friends, learning new things, and having tons of fun. Last week we took our Summit kids (4th – 6th grade) to summer camp for the first time in CH history. That is exactly what they experienced, and more! Our kids spent the week swimming, kayaking, and playing games, but most importantly I watched our kids experience genuine encounters with Jesus through worship, prayer, Bible teaching and quiet time with God. At the end of the week, we even watched a few of our campers choose to be baptized this past weekend at our annual BBQ Beach Baptism at City Beach here in Sandpoint. I know our kids will remember their time at camp for years to come. In particular, they’ll remember the things God spoke into their lives and the deep conversations they had with their counselors. I can think of few better ways for them to spend a week of their summer. We’re already planning for next year! 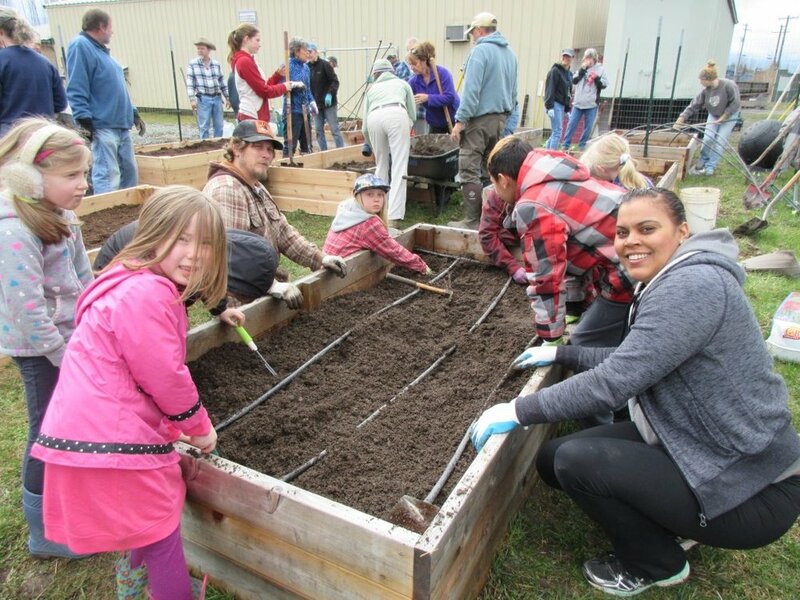 In April, over 60 Cedar Hills volunteers gathered at the Bonner Community Food Bank to expand their community garden. We added more garden beds, installed automatic watering systems, weeded, and planted. This garden provides fresh, organic produce to our families in need. Our food bank is currently assisting approximately 800 families per month. As of mid-June, over 30 pounds of lettuce, kale, and chard were harvested from this garden. This past Saturday, we had volunteers come to the East Bonner County Library. Our East Bonner County Library is an amazing resource for our families and community. The latest addition to the library is a community garden, adjacent to their newly remodeled facility. This garden hopes to bring our community together to explore, create, grow, share, connect, and learn in a beautiful interactive garden setting. Volunteers from CHC showed up to help break the ground on this garden. We are looking forward to continuing to support this project! There is another Serve Sandpoint opportunity coming up for those that want to join the fun! We will be assisting the Christ Our Redeemer (COR) garden project, scheduled for this Saturday (7/21/18), and we will begin at 8 a.m. We will be building more beds and planting more seeds. This is a new community garden - the beds will be available, free of charge, to our families, including the neighboring low-income housing residents and Panhandle Health clients. COR also will be offering free cooking and food preservation classes. We already have built 26 raised beds - please join CHC to help build 10 more raised beds! Questions - call COR at 208-263-7516! God’s plans for you are bigger than your own. You know the saying, “you make plans, and God laughs?” I feel like that has been the story of my life for a long time. When I was younger, I always planned on going to college close to my parents, so I could go home on the weekends, graduate from college, get married, get a job, have kids, and live in the same community I grew up in. Life did not unfold that way. I went to college 4 hours away (I know it’s not too far, but it was extremely far for me). I left my comfort zone, and I’m all the better for it. I met some of my best friends in school, and I was able to establish my independence in a way that I would not have been able to had I stayed closer to home. I was challenged in my beliefs, and forced to defend my beliefs because they were my own, and not my family’s. I graduated from college, but I did not get a job right out of college like I had planned. I spent a year looking for a job, and in that time I was able to care for my Tia (aunt), and help her get back to a form of normal. After working part-time retail, I found a job as a receptionist at a chiropractor’s office, and it was more in line with what I wanted to do, but still not quite what I wanted. Fast forward a year or two, and I’m still at the chiropractor’s office, and finally getting comfortable and growing in my position, and I was in a car accident. The car accident left me with injuries to my back, shoulder, and hip. Less than a week after the accident, I was let go from my job. My days were full of physical therapy, pain, doctor’s appointments, pain, and more physical therapy. I had to have surgery on my hip, and go back through the gambit of physical therapy again. Two months after surgery, I got the all clear from my doctor that I could begin to look into working again, and literally 2 days later, I slipped and fell and reinjured my hip and back. I got married while still out of work, and in a lot of pain, but finally we got married. We planned to live in the area, and start a family at some point soon. Without warning, the management at our apartment complex increased our rent by $1000/month. We had no choice but to move in with my parents, and into my childhood bedroom. This was not in the plan. This was not what we wanted. Because we were so cramped in the room with a majority of our stuff in storage, it finally pushed me to accept the fact that we need to look into moving out of state. Tyler found a position in Sandpoint in the end of September, flew up for an interview in October, and was offered the position in December. We had 2 weeks to move our life from Southern California to Sandpoint. We left my parents’ house without a home to move to. We didn’t have time to plan everything out. The way that everything worked out is a story in itself, but we are here, and we are thriving. My friend from college recently resigned from a job in the career that she loves, due to some internal issues at the workplace. Since I’ve known her, she has always had a plan for how things would go. She has wanted to be in education, and help kids for even longer. She is now up here looking for options. She is letting God work His plan out. It certainly wasn’t in her plans to be out of a job when she came up here, but she is going with it. I think this time is providing her the opportunity to relax, to enjoy some time off, and recuperate from a really tough season. It’s difficult to believe that God has a plan for the rough season you are going through…but He does. If I hadn’t been in the accident, or even been let go from my job, we never would have moved up here. We never would have experienced spiritual growth at the depth we have. I wouldn’t have been able to provide a home for my friend to come to. I wouldn’t be able to introduce her to incredible people. As Eric said a few weeks ago, it’s ok to be frustrated with the situation. It’s ok to be disappointed. I couldn’t understand not even just why, but HOW, God would use my being let go for his plan. But the truth is, He’s used it in a way to get me closer to Him. He’s surrounded me with people who will help me to learn to listen for His voice. And in turn, I can introduce my friend to that same space. I mean…who would you rather have plan your life? The One who created it and can see all things…or the one with a limited view that is the here and now. I know which one I pick; which do you? “'For I know the plans I have for you,’ declares the Lord, ‘plans to prosper you and not to harm you, plans to give you hope and a future. Then you will call on me and come and pray to me, and I will listen to you. You will seek me and find me when you seek me with all your heart.’"
When my wife Nicole and I returned to her hometown of Sandpoint to start a church in 2001, I didn’t know anybody. I was eager to build some relationships and get to know some guys my age (I was 28 at the time). So Nicole got me in touch with a friend of her’s from high school that I had met in Seattle 7 years earlier. We set up a coffee meeting for the following week. Our first appoint arrived, and I stood him up! He was gracious, and we rescheduled a few days later…and I stood him up again! Ironically, I think I’ve missed two appointments in my life, and both with the same guy! The third time around, I finally showed up. We connected right away, talking about life, mountain biking, the local Young Life ministry he led, life in small-town Sandpoint, and the church we were starting. In an afternoon, one of my first North Idaho friendships was born. That March, Colin wrote a press release for the Daily Bee about Cedar Hills Church—which had begun meeting in our (Nicole and I) living room. Then in August, Colin filled in as guest teacher at Cedar Hills when I was out of town one weekend. In October, Colin and I co-led a significant small group campaign at Cedar Hills. And by December, Colin joined our ministry staff, and we’ve never looked back. It’s crazy to think that 17 years have passed since those two skipped coffee appointments. I have been honored to serve alongside Colin for 16 of those years. In the church world, 16 years working for the same church is close to world record status! In just a few short weeks (July 29th), our church says goodbye to Colin as he heads to the mission field to join the staff at The Luke Commission…an amazing Christian medical missions organization serving the remote regions of Swaziland. It’s literally the other side of the world. For those of us who know Colin well, we see the fingerprints of God all over this. Yet in order for Colin to pursue this next adventure with God, he must be willing to let go…and so must we. Many have asked me in recent weeks, in the wake of Colin’s announcement, ”Eric, this must be tough. What are you going to do?” My answer...”I’m going to do what I’ve tried to do my entire life…hold loosely." We believe everything we have belongs to God. Its not ours…we are just holding onto it for him for a while. We hold it, but not too tight, lest we begin to believe that it is ours. The secret is holding loosely. God gave our church an amazing 16 years with Colin. And now, with open hands, we release him to the adventure ahead. Goodbye? I cannot be more excited for my friend and ministry partner. Colin, we’re cheering you on! 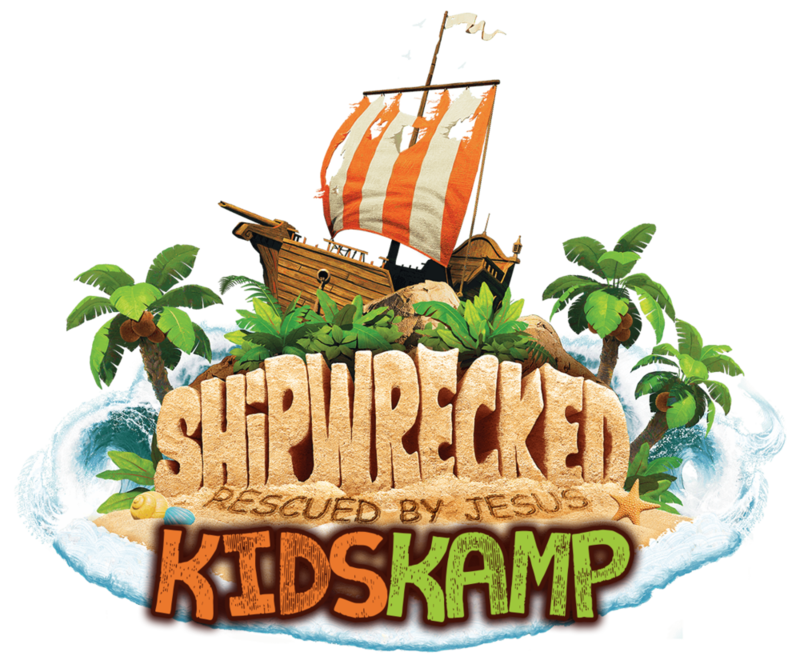 Last week we put on our first ever KIDS KAMP (aka VBS) at Cedar Hills! I think I speak for every kids’ pastor, director, or volunteer who’s ever organized an event like it when I say, “I’m tired.” In fact, I’m more than tired. I’m exhausted, and to be honest, I wouldn’t have it any other way! We are often told in our Christian walk that it’s important to create margin for rest, which is absolutely true. No one can run at top speed for too long without starting to slow down, but I truly believe there are times when we should be justifiably exhausted. Sometimes our kingdom labor means that we expend a disproportionate amount of effort over a short period of time to create a disproportionately positive result. This year during KIDS KAMP we did exactly that. This summer, we served almost 150 kids in Sandpoint over a week of ministry. Over 85 adults and teens at Cedar Hills participated directly in making the event a reality, and so many more contributed in prayer. We saw kids made a decision to follow Jesus for the first time. We met several families that do not have a church home or who are new to the area and are looking for community. I’ve heard story after story of God showing up in ways I wouldn’t have even imagined. And on top of it all, our kids and our team had an absolute blast! Basically, we’re going to see tons of kids in Bonner Country grow up with Jesus because of KIDS KAMP this year! I could not be more proud of our team that went above and beyond to create an irresistible environment for kids and see them experience the love of Christ in a life-changing way. They embodied what it means for the church to be not just a building, but a living, breathing, Spirit-filled community that takes ground for the kingdom of God every day. …I can’t wait for next year!